Selena Quintanilla, the Queen of Tex-Mex would've been 43 years old today. Although it's been 19 years since her death, we remember her as the beautiful, vibrant singer that brought two worlds together. In the two decades that have gone by, there has still been noting quite like the sound of Selena. Read what we wrote earlier this week. So in honor of Selena Day put on Bidi Bidi Bom Bom and celebrate her mark on this world. 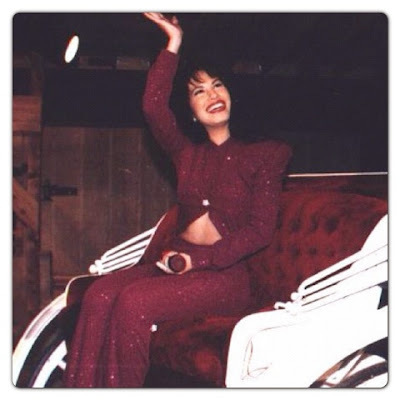 RIP and Happy Birthday Selena!